At the Lunch for Good event last week, the primary topic of conversation was the role of identity in increasing participation in social sites. It was encouraging to see that the discourse seems to have moved well beyond the old, unproductive binary contrast between euphoria about the power of anonymity (on the internet no-one knows you’re a dog) and a world of draconian censorship. There was overall concensus that speaking with one’s personal reputation – whether by use of real names and reference to heavily grounded Facebook/LinkedIn realworld identities – or by use of persistent pseudonyms that accrue community karma – helps increase the level of pro-social behavior. There were still a lot of nuances up for discussion. How and where to use realworld identities tied to your home address, and when to use pseudonyms (someone from the TOR project reminded us that in many places and circumstances, using one’s real name can be life-threatening). About the need for faceted identity, so it’s possible to express aspects of oneself in a social context without having those things be “too much information” in other contexts, whether or not the information is secret. About the value of social gestures and practices that go beyond mere identity – practices of welcoming, moderation, and facilitation that help in establishing a congenial place. It is good to see the conversation move beyond simple, binary contrasts to the nuances that can help shape civil and congenial online social spaces. FourSquare drives me nuts, because of the inherent conflict between the social and competitive aspects of the social design. A social tool for people who like to go out, FourSquare builds in social incentives – when you attend a venue, the system sends out a message asking your friends to “stop by and say hi,” bringing frends out from the woodwork to join you at a bar or event. At the same time, it has built-in competitive incentives – participants accrue “mayor” awards and various badges for visiting the same venue the most times, and for racking up various types of social activities. You might think that the diversity of incentives is good, since different users have differing motivations. In the conversation about the use of leaderboards in social software, Kevin Marks referenced the classic paper by Richard Bartle- Hearts, Clubs, Diamonds, Spades – about the different personality types who participate in online games. Hearts are motivated by social connection. Diamonds are motivated by racking up points to “win” the game. Spades are motivated by information and exploration. And Clubs are motivated by motivated by causing trouble and pain for others. So, if you appeal to more than one type of player, more the better, right? Problem is, there are conflicts between the different incentives. For “Hearts”, the incentive is social. Hearts are truly charmed by the idea that a application can draw your friends from nearby and increase serendipitous chances for meeting. For “Diamonds”, the incentive is competitive. Diamonds want to “win” the game by being the mayor of the most places, and racking up other types of points. In FourSquare, you see people competing to be the mayor of SafeWay – it’s not like anyone is actually seeking to meet up with a friend at the supermarket. So, for a “Heart” – if someone checks into a nearby location on FourSquare – are they actually seeking to meet up with other friends nearby? Or are they a “Spade” seeking to rack up points, and would they be annoyed by someone stopping by, or even hailing to see if the the checkin calls for visiting? The conflict between the motivations makes my head hurt. I don’t check in very often on FourSquare, since the “points” and making public noise about going out to a lot of places about don’t do very much for me. I contribute to the social game, occasionally, but the ambiguity of it makes the game a lot less fun. I’d much rather send out a hail on Twitter – when I want to signal an open social meetup opportunity, I want to do so unambiguously – whether it’s little or big. I have no idea how many other people feel caught in the middle of FourSquare’s conflicting social incentives. I just know that the combination is rather awkwardnessful for me. What do you think? Does FourSquare’s combination of motivates work nicely for you, or also drive you crazy? And from the perspective of social design, appealing to more than one “type” may in theory increase the audience for a given tool/site/event. But care needs to be given that in appealing to one “type”, you are not discouraging other types at the same time. Listening to the conversation last week at the Lunch for Good event last week, Tom Coates’ mini-rant against explicit incentives for social software participation was running through my head. The overarching question posed to the participants over lunch was about how to increase people’s contributing content to online sites. But that’s fundamentally the wrong orientation. In a recent Twitter conversation about leaderboards, Tom had the strongest perspective in favor of intrinsic motivation. Now, the specific topic on the table was a good one – about how to handle identity and reputation in a way that doesn’t *discourage* participation (about which more in a separate post). Reducing barriers to participation is important. But participation itself isn’t about “contributing content” much of the time. Wanting “users” to generate “content” is the perspective of the site-host that wants to build a repository of content and perhaps generate revenue from site visits. But this is not the perspective of the participants. Wikipedia itself – one of the grandparents of community content sites – really does build on people’s motivations to building a repository of information. But other types of sites build on a variety of motivations. When people contribute to tech support FAQs, they are adding to a knowledge edifice like Wikipedia; they are also increasing their personal reputation as an expert and investing in karma in the old-fashioned sense, contributing good will to the universe, in a way that may be repaid indirectly. When people are discussing politics on sites like DailyKos and Calitics, they are engaging in advocacy and organizing, not just submitting neutral “content.” Reviews of books, movies, music draw on people’s motivation for self-expression and cultural affiliation. Sharing observations and links on Twitter and Facebook is about social exchange as much as about the content itself. People participate for self-expression, to make social connections, for social reciprocation, to enhance reputation. It’s not about the content, or it’s only partly about the content. So enabling participation is about creating an activity that’s engaging in itself (per Tom Coates); removing barriers such as hostile behavior, and fostering the relational, expressive, and/or reputation aspects of the experience. When Twitter paved the cowpath, turning the Retweet social convention into a feature, their design decisions highlighted the fact that retweeting had two different social meanings. One meaning is a “digg” – a simple, one-dimensional, unequivocal “upvote” for a post. By “retweeting”, the poster is adding their social cred to the original tweet, and spreading it to their own social network. That cheerleading is the meaning that Twitter chose in implementing Retweet as a feature. This use has a competitive dynamic to it; people measure the success of the meme by how often it is copied. The direct copy has bit of a multi-level marketing, spam-like flavor to it – I put a meme out there, and have the most success if other people take up the meme and start to hold tupperware parties for their friends. The second meaning is a comment – copy the original tweet, and add a pithy comment with your own quick take. This pattern adds value, meaning, personality along with the forward. You’re contributing to the conversation, not just repeating what someone last said. This is the version I strongly prefer. From the point of view of Retweet as call and response, Retweet as simple repetition sounds like echolalia, simply repeating the other person’s words directly. This is the communication style of a very small child learning to speak – or someone who has autism, schizophrenia, or some other mental disability. Only those who don’t have the ability to vary communication will repeat words directly. I’m not sure how often I’ll use Twitter’s Retweet feature. Surely there are some times when I just want to give something a thumbs-up. I strongly I’ll continue to quote-and-comment more often to contribute to the conversation. The problem with the “cheerlead” version being baked into software is that because it will be easier, it will encourage people to simply copy rather than comment. Twitter’s implementation of Retweet as a feature is a deep example of a principle of social design – build simple software, watch users, and then turn a carefully selected subset of the patterns they develop through use into features. It’s important to be very sensitive to how to bake the pattern in, because subtle changes can have major effects on the social dynamic of the system. Twitter watched and implemented, but they implemented what is, in my opinion, the wrong thing. Or rather, they implemented the thing that turns the Twitter communication pattern into something more like competition, more like spam, and less like conversation. New terms or new trends? The twitter buzz yesterday was about two posts by Stowe Boyd and Randal (Rand) Leeb-du Toit advocating Social Business as terms for Enterprise 2.0, along with the launches of new consulting services. Names have value. Sector names are powerful totems in the consulting business. As a recovering industry analyst, I remember well the desire to name trends, and to have your name associated with the trend. And when innovation happens, it helps to be able to call it something. At Socialtext, we pioneered the adaptation of internet tools for collaboration and communication for business use, well before there were names for things. It was a lot harder to explain what we were doing before someone coined Enterprise 2.0. In this case, the proposed change from “Enterprise 2.0” to “Social Business” is a lot less interesting than the trend the advocates are describing. Boyd and DuToit’s posts both describe a shift from an early market phase, when early adopters experiment with bringing web 2.0 tools and techniques to the organization, to a more mature phase, in which people have a more sophisticated understanding about evolving their organizations to take advantage of the tools, and the tools are deeply adapted to be suitable for organizational use. So, switch terms? Shrug. Think more deeply and act more powerfully to adapt organizations and tools? A good thing to talk about and to do. Author alevinPosted on September 22, 2009 Categories Uncategorized1 Comment on New terms or new trends? 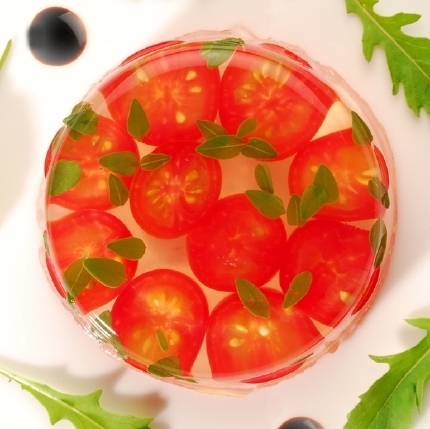 Why were salads in aspic fashionable in the early part of the 20th century? Because of the recent spread of refrigerators in middle class homes. In the late 1920s, cookbooks published by the makers of Frigidaire and Kelvinator refrigerators promoted “refrigeration cookery”, while the Ladies Home Journal, the leading advertising vehicle for household technology, “ran recipes for pigs feet aspic and egg-and-asparagus modes, and urged readers to keep their fridges well-stocked with olives, capers, pimentos, and other colorful garnishes for luncheon salads and “jellied things.” Why did San Francisco become a center for graphic design, a role that’s continued into the 21st century with web design? It was the place where fruit crate labels were designed, when California’s fruit growers banded together to expand the market for oranges shipped long distance. Fresh: A Perishable History, Susan Freidberg’s book on the social history of the concept of freshness, is chock-full of amusing and telling little details that illustrate stories of the definition of the concept of freshness in the modern age. The story is always more complex than it appears. The “fresh” salads that appear in grocery stores are delivered in high-tech polymer bags, variably permeable in response to temperature changes, and filled with nitrogen. The live fish that swim around the fishtanks of Hong Kong and mainland China are imported from the Phillippines and Indonesia, caught by shipped by air, anesthetized. The “fresh” milk that is purchased in supermarkets is the product of a system of regulation originally intended to preserve local markets but now a convoluted tangle; and a labor system dependent on migrant workers from Mexico who fearful to leave the farm and face capture and deportation. The concept of fresh food, which on its surface appears like the most natural and uncomplicated of attributes, is the product of complex webs of technologies, transport systems, legal structures and labor markets. The colorful, shiny surface of the consumer marketing of food is designed to hide the technological sophistication and the messy and often cruel realities of the production process. This is a wonderful book that is entertaining even as it informs about aspects of life that many of us take for granted. My one quibble with the book is that the author attempts to maintain a scholarly equanimity about the unsavory and unsustainable aspects of the food system. The chapter on fish, for example, tells story after story of a given fishery stripped of its population, and the industry’s moving on to the next shoals. Unlike, say, the environmental tragedy told in Mike Kurlansky’s Cod, Freidberg’s matter-of-fact narration fails to consider the obvious and well-reported inferences about the ultimate conclusion of increasing consumption and declining fish stocks. Nor does Freidberg draw strong conclusions like long-form journalist Michael Pollan, whose Omnivore’s Dilemma offers a well-researched indictment of the health and environmental failures of the industrial food production system. The chapter on the locavore movement, which is attempting to reconstitute markets and practices for locally produced food, doesn’t quite go to the false-equivalence depths of newspaper articles that dismiss the environmental value of local because some people produce hothouse tomatoes in Vermont in January. The environmental intent of the locavore movement is to reduce the fossil fuel cost of food trucked and shipped and flown around the world, not just to produce food as closely as possible to the eater regardless of environmental cost. But Freidberg is extremely skeptical of any efforts to improve the situation. Looking at previous failed efforts, ranging from Upton Sinclair’s slaughterhouse exposes to attempts to preserve local milksheds with counterproductive results, Freidberg concludes that any efforts to improve matters are likely as not to have negative unintended consequences, so by implication why bother trying? And since all systems have mixed natures, why try to evaluate what is better or worse? I’m not wishing that Freidberg had written a manifesto, that would be a different book entirely. My ideal for the genre is Ruth Schwartz Cowan’s More Work for Mother, which by the way Freidberg quotes in places, a brilliant book on the social history of household technology with a steel skeleton of the history of technology adoption in the 20th century US. Without diverging into prescriptive politics out of place in a work of history, Cowan nevertheless has an underlying well-supported argument that household technology has served, for reasons of ideology and marketing, to maintain housework at a consistent level beyond need and value. Even though Freidberg refrains from drawing seemingly obvious conclusions and making potentially supportable judgements, the robust material of her history provides a good foundation for those who may wish to follow the facts further toward reasonable conclusions, and who have less skepticism about the value of action in an imperfect world. And the counterintuitive tales of the unintended consequences of idealistic action, and the complex roots of seemingly simple things are good cautionary warnings about any simple story, whether it be the promise of a pretty supermarket package or the promise of any simple sustainable solution. Yesterday afternoon on Twitter there was a brilliant conversation among Kevin Marks, Tom Coates, Jane McGonigal, Tara Hunt, Josh Porter and a few others on the thoughtful use of points and competition in social systems. Motivated by the popularity of games, designers of social systems sometimes adopt scoring and ranking systems simplistically, with counterproductive results. Others in the conversation are less skeptical of points systems, and recommend ways to use them more wisely. Instead of a single, discouraging ranking, Kevin Marks recommends using leaderboards for friends, with many publics applied to scores. “In gamelike situations comparing scores with peers + friends beats global ranks.” Jane McGonigal observes that social competition can be “rival” based (pick one person in your social network as your rival) like Sharkrunners. Josh Porter takes time and the adoption cycle into consideration. “I see leaderboards as an early-stage igniter in social networks…good for a time of fast growth but not healthy long-term.” Another way time needs to be considered, says Porter, is the lifespan of scores. cumulative scoreboards eventually break (like Amazon having to reset Top Reviewers last year). Jane McGonigal sees points systems as valuable, particularly for charting toward hard-to-achieve goals (eg nike+), the gamelike system for tracking running progress. But explicit metrics are only one element of designing a game that people want to play: “points” and “levels” without obstacles and an authentic non-game desire to progress/improve are awful. Another consideration, I think, is participant temperament. Some participants will be more motivated by desire to be the best, or by social rivalry, or by individual achievement, and some will have social, noncompetitive motivations. Unless the designers explicitly want to select for a single personality type – say, a shooter game for the aggressively macho – designers need to consider the different temperaments in the participant community, and think about ways to support the motivations of different types of participants. Kevin Marks cites Bartle’s classic 1996 essay, Hearts Clubs Diamonds Spades on kinds of players in multi-user computer games. This is an important public conversation to be having. The practices and principles of social design are starting to emerge from many experiences and experiments in networked social systems. It is a great time to reflect and learn from social systems in the world, and derive lessons for the thoughtful use of points systems (as well as other principles of social system design). I’ve tried to capture the tweets from yesterday’s conversation on delicious using socialincentives tag, please feel free to add ones I missed. My main question about the Peninsula Cities Coalition efforts to solicit public feedback on the California High-Speed rail plan, starting with a teach-in this past weekend, was whether feedback would have any impact at all. Coordinators included two local city council people, Terry Nagel of Burlingame and Yoriko Kishimoto of Palo Alto, seeking with good will to organize public input on a major public project. But the High Speed Rail Authority, the agency charged with building the high-speed route between San Francisco and Los Angeles, is an appointed body with a majority of its board members appointed by the governor. The mission of the agency is to get the project done, not to listen to residents. There isn’t any obvious reason that they would listen to the concerns of the people who actually live on the route the train will pass through. The event gave me some cautious optimism that there was a way for public input to have an impact. Dominic Spaethling, a representative of the High Speed Rail Authority, mentioned that they will be seeking feedback from local governments in terms of how design choices will affect the local areas. And a representative of Senator Simitian’s office also sought feedback filtered through cities. The Peninsula Cities Coalition is a group of cities (five currently, Burlingame, Belmont, Atherton, Menlo Park, Palo Alto), and the series of events is an excellent venue for city officials to gather input from residents. Tactically, cities have local land use and permitting authority, so a good working relationship with cities is in the High Speed Rail Authority’s interests. So there may be a vehicle to funnel input through cities, and some interest on the Authority’s side to listen. Another reason for optimism was the demeanor of Robert Doty, the Director for the Peninsula Rail Program, a combined program to develop Caltrain modernization and High Speed Rail. He has responsibility for interagency coordination and regulatory approvals, so on the ground, he’s a key person. He developed the highly successful Baby Bullet program for Caltrain. Doty seemed both practical and considerate of local concerns. For example, he acknowledged that the implementation of the BART-SFO connector was botched, in cost and design. He mentioned the 5 stairways, sounding like someone who’s tried to use them! And he seemed to have a good relationship with the local folk on the podium. By contrast, representatives of transit projects and agencies sometimes come across as high-handed, presenting a seemingly inevitable conclusion to their audience. The day contained a number of panels and presentations, with various speakers representing different aspects and opinions of the project. * Doty, as I mentioned, came across as no pushover, but as someone who was engaged with the community. * Rich Tolmach, the California Rail Foundation, was opposed to the project, and is seeking ways to stop it. * Dave Young, of engineering firm Hatch Mott Macdonald presented information explaining how tunneling might be practical. this is an approach that some hope will reduce impact long-term, and others dismiss as impractical. * Greg Greenway, of the Peninsula Freight Users Group, advocated for continuing to use the corridor for frieght rail. However, the Caltrain corridor gets only about 10% of the freight that travels through the east bay, and compared to Oakland, the port of Redwood City is a tiny blip. It’s not clear to me that other design goals should be sacrificed to support what’s a tiny freight base on the Peninsula. * Bill Cutler presented the Context Sensitive Solutions approach. This sounded like a fine process for gathering community input. But it was not at all clear how the Context Senstive Solutions process would dovetail with the technical and operational schedule for the actual working of the project. Unfortunately, I was late and missed the first session by Gary Patton. According to the California High Speed Rail Blog, Patton talked about how the project can still be stopped. My least favorite aspect of the day was the “Open Space” section. I say this as someone who has attended and coordinated many open space session and unconferences. These can be excellent in two very different ways. When there’s a general area of interest, such as digital mapping technology, it’s wonderful to have people with interest and knowledge have sessions on the topics they care about. It’s not infrequent for projects and other follow-ons to be spawned from great sessions. But there’s no requirement for follow-up. When there is a common goal, it is a good way to have people self-select into interested groups and develop next steps. In this case, there is a common goal, but there was no clear charter for groups to serve that goal. Someone from the Peninsula Cities group volunteered to collect the writeup, but there was no clear sense of follow-up. This part of the program could have been better designed. The session I was in was a brainstorming discussion about how to use online tools to support the public input process. I’ll blog more about that separately. At the event, I had a chance to meet in person the author of the Transbay Blog, a blog that covers transportation and land use issues in the Bay Area, after meeting by blog comment and twitter. I also got to to chat with Robert Cruickshank, who writes the California High Speed Rail Blog, which advocates for high speed rail, as well as Andy Chow and Brian Stanke of the Bay Rail Alliance, a rail advocacy group. I helped the coordinating team for the event, including setting up the online event registration and helping with outreach. And I wasn’t able to make the meeting where the Open Space session was planned. I’ll also send the feedback to the coordinators, with suggestions about how to better use Open Space in this context. I live in Menlo Park and work in Palo Alto. I cross the tracks at least twice daily by bike. I like walkable, bikeable, liveable neighborhoods with access to transit. I’m interested in having a much better system of regional transit, and in ways for our society to wean ourselves from fossil fuel. I lived in Boston during the big dig, and watched the city pay the cost of trying to undo a bad decision to build an elevated highway through town 50 years earlier. Though I’m concerned that the structure of the High Speed Rail project makes citizen input more perilous, I believe in general that the likelihood of having an impact gets infinitely higher when you show up and try to make a difference in a practical fashion. I am glad to see the increased interest and discussion in distributed social networks. And it’s intriguing to think about the ideas described by Om Malik, Anil Dash, Dave Winer and others describing blogs as the home base and source for such distributed social networks. But blogs and individual interests aren’t enough to be sources and points of aggregation. Social context, I think, will be a critical factor in the adoption of distributed social networks. The vision of a “universal identity”, and full “data portability” sharing everything with everyone, is much to broad, not simply for reasons of privacy, but of attention. It’s in no way a secret when I go bicycling, but only a small number of people will care about my bike routes. So what do I mean by sharing in social context? Social context is the way that people think about what’s relevant to share to whom. If I have a photo to share from SouthBySouthwest, I want to share with others who went there (or are interested in it). The category of “photos” is too coarse-grained. The category of “friends” vs. “business” is too coarse-grained and in the context of SXSW makes my head hurt. We need to be able to define social context, and then share appropriately in the context. A key reason why fine-grained sharing has been a failure til now is that tools ask users to make decisions based on content type (who do I want to share videos with) or by broad categories (are you my friend or colleague). (By the way, if you’ve successfully figured out facebook’s system, please explain it to me, I’ve tried and failed). I’ve written before about the need for decentralized profile data as a key piece of the distributed social network. Another key element, I think, is likely to be tagged activity streams. Within a given social context, it becomes pretty obvious what profile fields you wish to share or types of Tweets you want to share. Fortunately, people already use ad hoc tags to define events and interests, and use these socially-defined tags to aggregate across tools such as flicker and twitter. However, this functionality isn’t very explicit or well-defined, so it’s hard to make it usable or automatable. I think that the practice of using tags to define social contexts, and usable tools to share information in those context, will become important. When tags become valuable, they also attract spam, so a layer of authentication and explicit group definition will be needed when spam becomes an issue. Summary – if you ask someone what data elements they want to share with whom, in a general fashion, people will give up, overwhelmed. But when tools enable people to share profile information, stream updates, and content in social context, people will be able to make pretty good decisions. Supporting standards, features, and usability to enable sharing in context will help make distributed social networking real. I’ve been looking at the promising new ActivityStrea.ms proposed standard, based on the existing Atom standard. ActivityStrea.ms promises to enable sharing activity streams across applications. This is a key piece of the “distributed social network” vision, where people can distribute and aggregate their activities across multiple sites and tools. I was thinking through a distributed community potential use case – and saw what seems to be an item that is missing but easy to add. The current ActivityStrea.ms proposal seems logically based on an assumption that a user would want to distribute or aggregate all of their updates. Or, perhaps choose to share updates based on *type* of content or action – I want to share my blog post updates, but not my photos. What’s missing is the concept of syndicating or aggregating by *topic*. Let’s say I have a stream of messages talking about web standards, politics, and music. I want to syndicate only music-related updates to a music site. What’s needed seems simple – a way of adding a piece of metadata – a tag – that identifies a given update as a music-related update. Then, I can choose to share only those updates to the music site. Fortunately, there are ways to represent Tags in Atom – see this representation in WordPress.. So it would be possible to address this need fairly simply, by adding the use of Tag as a recommended best practice for ActivityStrea.ms implementors. No need for a new standard, just leverage the existing one for this new use case. As the uses of Activity Streams proliferate, and the social contexts in which they are used become more complex, people are going to want to choose discretion about what to share where — not just for reasons of privacy, but for reasons of attention management. Baking in a tag best practice could lay the groundwork for more socially useful Activity Stream sharing. What do you think? Am I missing something obvious?